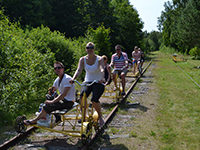 A great way to experience nature is to cycle on trolley bikes on old railroad tracks. The starting point is in Gullspång. There are two trails: Gullspång-Torved-Gullspång (40 km) or Gullspång-Degerfors-Gullspång (80 km). Ride as long as you want through a changing landscape of streams, meadows, forests and moors. If you are lucky you may see an elk or a deer. On your trip you will encounter old train stations and remains of days gone by. By bicycle, horseback or on foot you can enjoy the beauty of Skagern lake’s surroundings. It is a fantastic journey of 100 km which offers a great variety of nature and old picturesque landscapes. Road signs will guide you from Gullspång through the provinces of Västergötland, Närke and Värmland back to the starting point. For more information about the trail ‘Skagern Runt’, places to stay overnight and other arrangements, you can consult www.skagernrunt.se. The Skagern lake also offers one of Sweden’s most varied fishing grounds with over twenty different kinds of fish, like salmon, (rainbow) trout, pike, burbot, eel, perch, roach and bream. The Skagern lake is in the top 20 of Sweden’s largest lakes. It measures 131 square kilometres and it is 76 metres at its deepest. For more information: http://www.sportfiskeguide.se/. 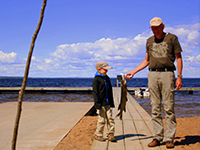 In the camping site’s kiosk you can buy a fishing permit. 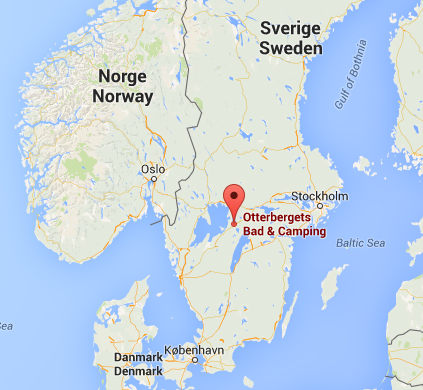 You can also explore the Skagern lake by surf board, canoe or boat. At our camping site you can rent canoes as well as boats with an outboard engine. If you would rather bring your own boat you can launch it at our boat launch. You can enjoy the tourist attraction Göta kanal, which was built in the 19th century, in different ways. For an active experience you can cycle along the Göta kanal. The bicycle trail is designed in such a way that you ride part of it while on other parts you sail along by boat. For more information:www.vastsverige.com. A suggestion for families with children is a visit to water park Skara Sommarland in Skara, an outdoor swimming centre with numerous attractions. For more information: www.sommarland.se. 20 km away, in Skagersvik. 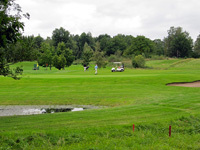 This is a much appreciated nine hole golf course situated in fantastic landscape. From the camping site you can simply walk straight into the woods and begin your hike. For a larger variety of hiking trails you can visit the nature parks in the surrounding area.